E-Prime 2.0 introduced the '(end of proc)' option for choosing an InputMask.TimeLimit property. When choosing '(end of proc)' the Procedure terminates the Input Mask when it completes. 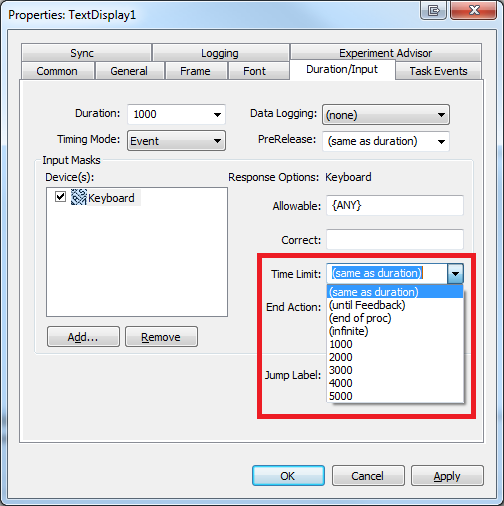 For trials that have a FeedbackDisplay, we recommend using the '(until feedback)' Time Limit option.